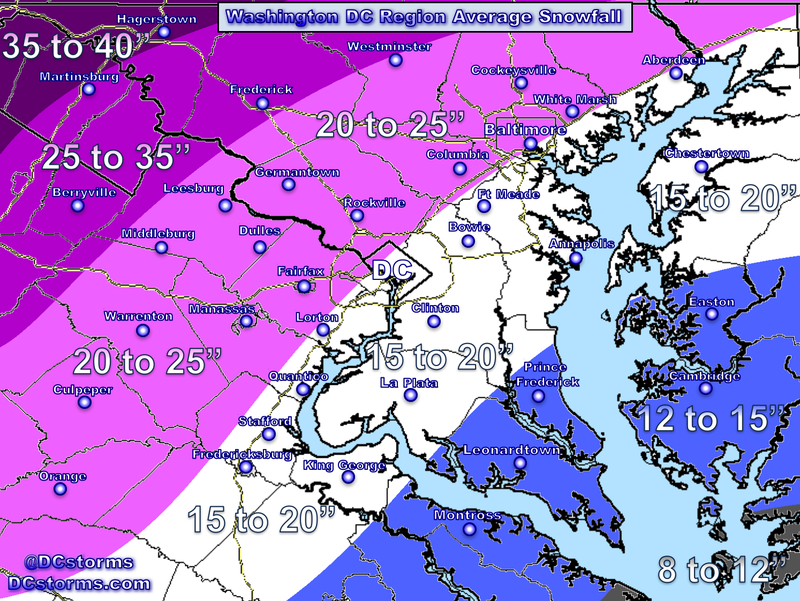 Heavy Snow is finally breaking out across the metropolitan Washington Area. 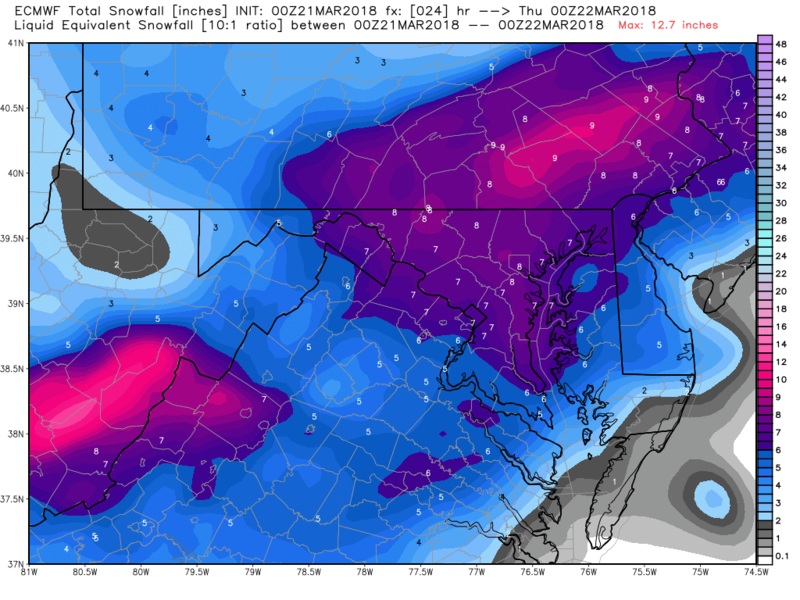 My favorite forecast model (the European) lowered its accumulation output during the overnight run. 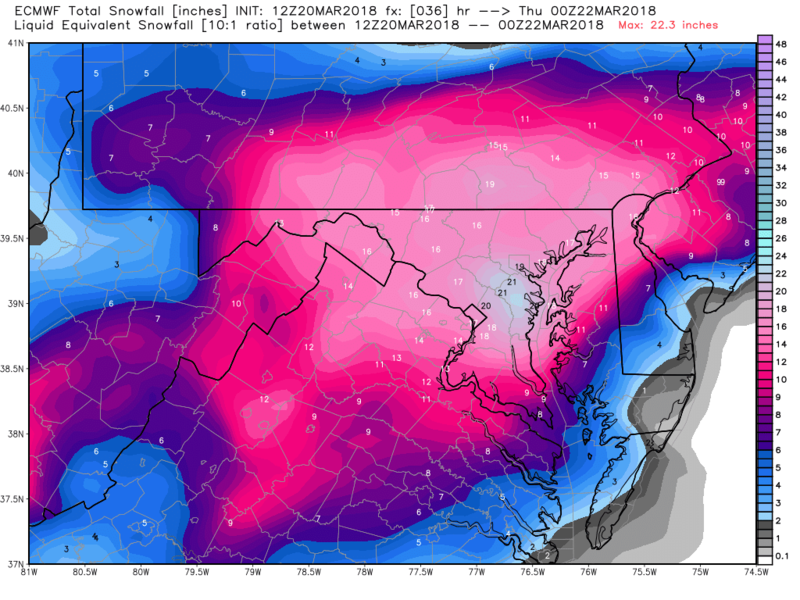 Regardless, Winter Storm Warning criteria (5″ or more) is likely across the Metropolitan area today with snow… heavy at times, continuing through the afternoon before tapering off and ending later this evening. 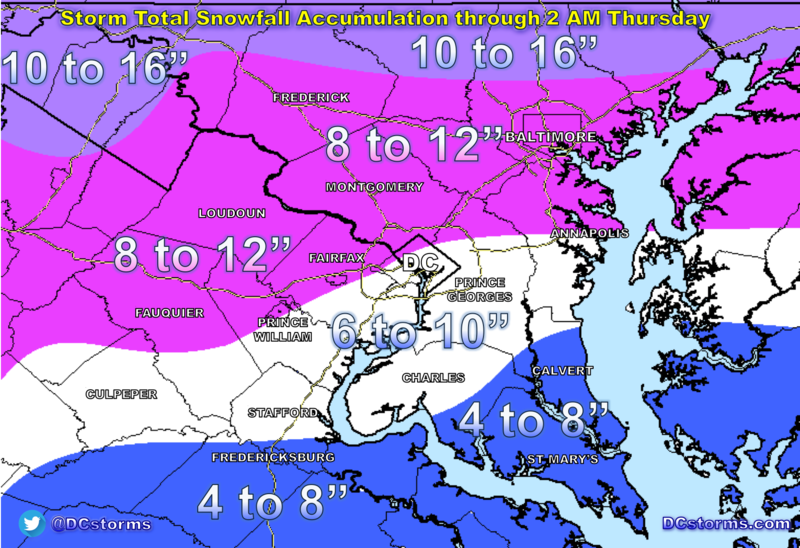 We have about 11 more hours today to try to fill in the “snow hole” that has plagued the immediate Washington Area for the past two winters. 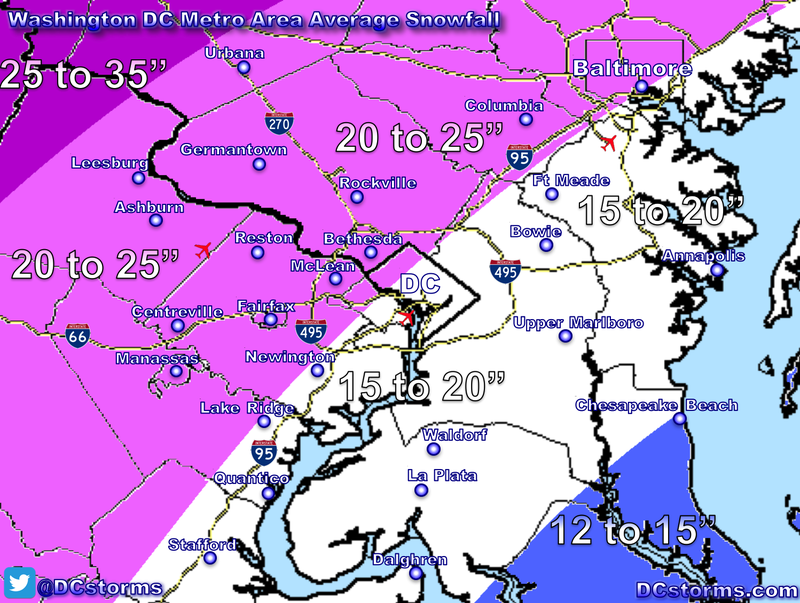 I will reserve any judgement for this map (that I posted yesterday afternoon) until the storm wraps up this evening. I’m off to enjoy this glorious snow day! 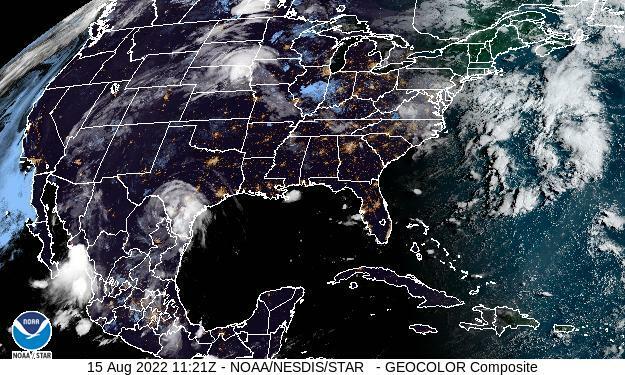 Be safe out there. 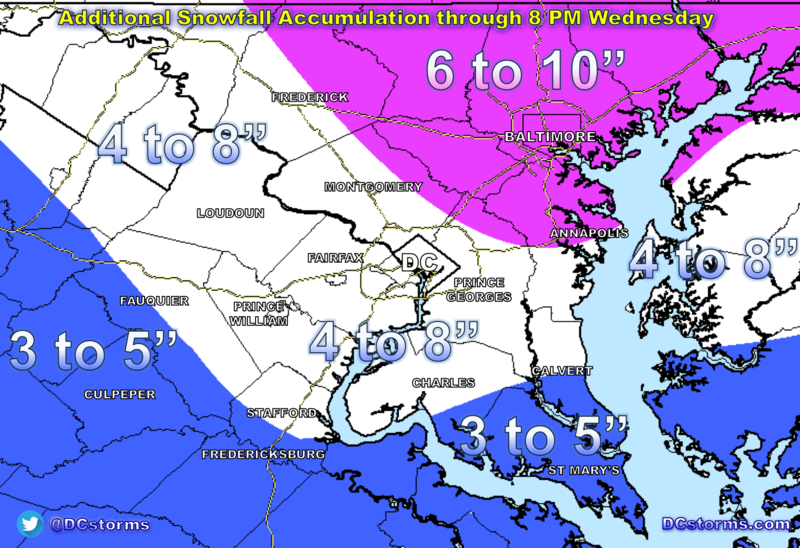 Previous Post Previous post:How Much Snow Could Fall by 8AM Wednesday? Tim, thanks so much for the updates. I appreciate your insight and trust you more than some of the bigger outlets.